While many of us assumed Disney Dollars had died years ago, they hadn’t. 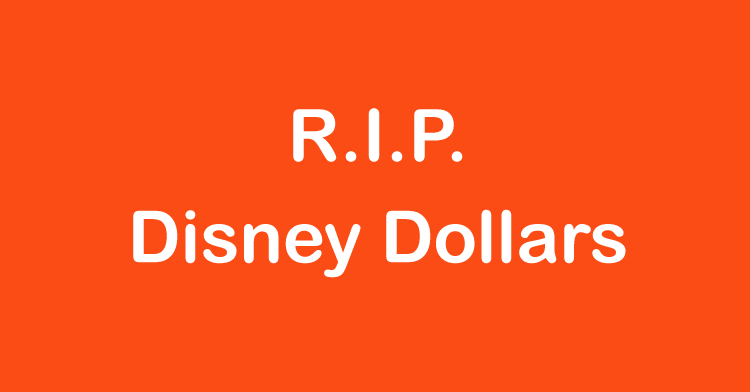 Disney announced yesterday that Disney Dollars would no longer be for sale as of May 14, 2016. While Disney and consumers had moved to Disney Gift Cards years ago, many people still purchase Disney Dollars as souvenirs of their Disney vacation. They will be missed. Walt Disney World announced this week that their on demand printing system that has been used for smart phone covers and other items now is able to make custom MagicBands for guests. Not only now are you able to choose your favorite attraction to be on your MagicBand, you can also add your name right there on the band. Not only can you choose from attractions, but some long closed attractions are included such as Mr Toad’s Wild Ride and 20,000 Leagues Under the Sea. Plus, you can also choose from a few Haunted Mansion and Pirates of the Caribbean characters. Of course, Disney can add in any additional artwork at anytime, so watch for additional options in the future. Custom MagicBands start at $24.99, $32.99 if you add your name to the band. As a new section of Disney Springs opens this weekend, there is a large group of restaurants that are opening for the first time, including a Poutine place! Check out all the great options! 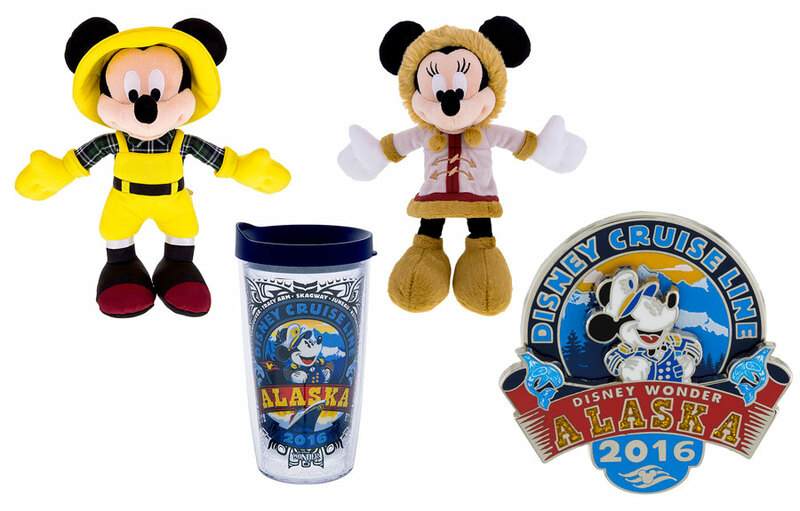 If you happen to be sailing on a Disney Cruise this summer, specifically on one of the Transatlantic or Alaskan Disney Cruise, you are in for a treat, special merchandise. Items include shirts, pins and stuffed animals all themed after your particular cruise. 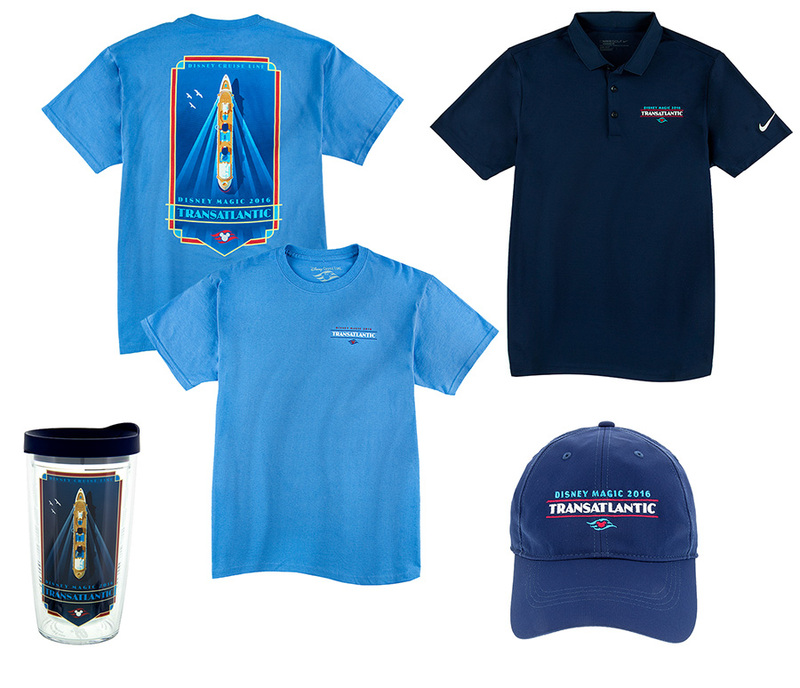 There is also special merchandise for the Panama Canal cruise and I am sure that later this year we will see more stuff for the European cruises too. Make sure to take your wallets along with you. Disney has released a new ‘Inside Disney Parks’ Newscast, a video roundup of changes to the Disney Parks. Episode 1 was released this week, and gives you a great idea of what to expect at Disney this Summer. This episode covers Animal Kingdom at night, the Jungle Cruise Movie, Luigi’s Rollickin’ Roadsters grand opening in Disney California Advnenture and much, much more. Enjoy! In early 2013, Walt Disney World introduced MyMagic+, a complete overhaul of their entire system, which covered everything from hotel and dining reservations to fast passes. As part of this new system, Walt Disney World introduced MagicBands, which would be the central point of guest interaction with everything at Disney World. MagicBands, are just that, Magic. They are a simple wrist band that you wear during your stay at Disney World. The wrist bands feature RFID technology, which allows Disney to interact with you in new and unique ways, many of which we have yet to see several years after this project rolled out. MagicBands are your room key for all Walt Disney World Resort rooms. Just tap your MagicBand on the pad on your door and it opens. MagicBands are your park passes for all four Walt Disney World theme parks, as well as the water parks and any other areas of Walt Disney World that require admission. MagicBands are your fast passes for all rides and attractions. Fast passes reservations are now made online in advance of your vacation, or from kiosks in the theme parks, which are then stored on your MagicBands. For Walt Disney World Resort guests who have added a credit card to their reservation, MagicBands are your charge card while in the theme parks and resorts, as well as at most Disney Springs shops and restaurants. Just tap your band and your charge is added to your room charges. MagicBands keep track of you Disney photos in the parks. Not only when you stop to have a Disney photographer take your photo, but also in-ride photos are attached to your account, many automatically are added as you ride the rides. While not currently in place, the next stop for MagicBands will be proximity usage. Imagine walking up to see Anna and Elsa, and they already know your daughter’s name because of her MagicBand, and they greet her by name. Magic! All Walt Disney Resorts guests who have booked a Magic Your Way Package that includes your Walt Disney World Resort and theme park passes receive one MagicBand per person for free. Walt Disney World annual passholders receive a MagicBand for free, you just need to link your annual pass to your Disney profile online and customize your MagicBand. Any Walt Disney World Guest can purchase a MagicBand either online or in the theme parks and have your current and future Disney passes linked to the MagicBand. More on this option below. What are my MagicBand options? If you book a Magic Your Way package or are an annual passholder, you customize your MagicBands online. You are limited to the solid colors they currently offer: Gray, Purple, Red, Orange, Yellow, Green, Blue or Pink. You can pick a different color for each person in your family, plus you will be able to customize it with your preferred name, which will be printed on the back of the band. If you happen to book a package for this Summer with the current Awaken Summer discount, you will be given the option to choose a special BB-8 Star Wars themed MagicBand too in addition the solid color ones. Please note, if you book a Magic Your Way Package and DO NOT customize your MagicBands online, you will be given a Gray MagicBand for each person in your party at check in. BORING! Do not forget to customize your bands. Anyone can purchase a MagicBand online, at a Disney Store or in the Walt Disney Worth theme parks. Disney sells the boring solid colors ones online and in the parks for about $13. They also sell many themed MagicBands, which run about $23, though there are a few that are $28 for some reason. These themed ones feature just about everything from Mickey and other Disney characters to Star Wars and Zootopia characters. My favorite is the Orange Bird MagicBand, I wear it every trip! Once purchased, you can link your existing ticket to this new MagicBand, whether it is linked to one already or not. Disney also sells little sets of “pins” called MagicBandits. Just pop them into the holes on your MagicBands to add some class. You can choose from a bunch of different Disney characters or jeweled Mickey heads. 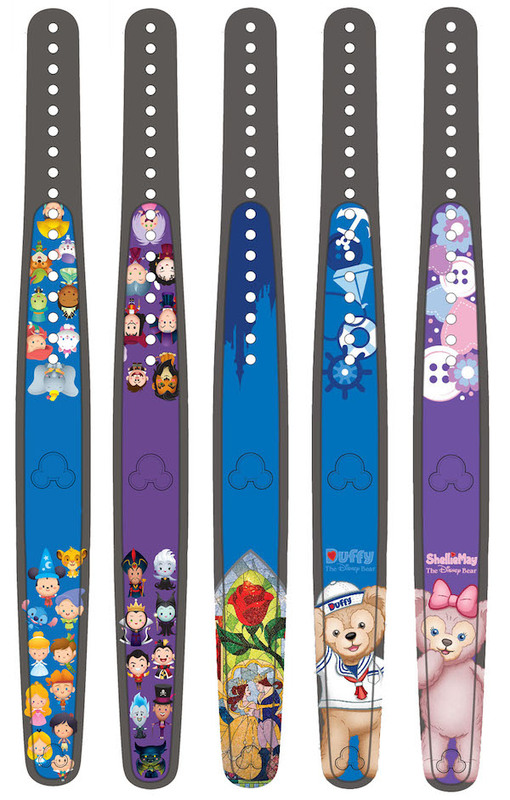 Also, Disney sells themed “sliders” that go on your bands to change them a bit too. Of course, if you have a boring colored one, and don’t feel like spending an additional $23 on each person in your family, you can always customize your MagicBands for just a few dollars. Just search Pinterest or other sites for idea. I have personally purchased MagicBand stickers from My Fantasy Bands online, they work great, are cheap, and everyone in my family got a unique MagicBand for a fraction of the price. 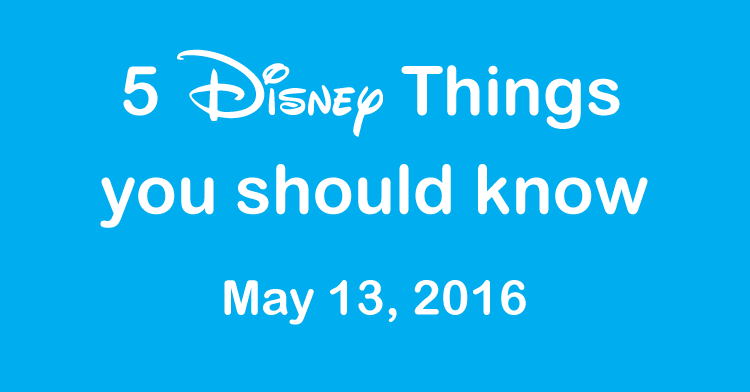 Currently, MagicBands are only used at Walt Disney World, and do not work anywhere at Disneyland. Rumor has it that MagicBand will be launched at Disneyland at some point in the near future. It will be interesting as time goes one to see what Disney adds to the MagicBand capabilities.